You may know Botox from its use by the rich and famous to eliminate facial wrinkles. 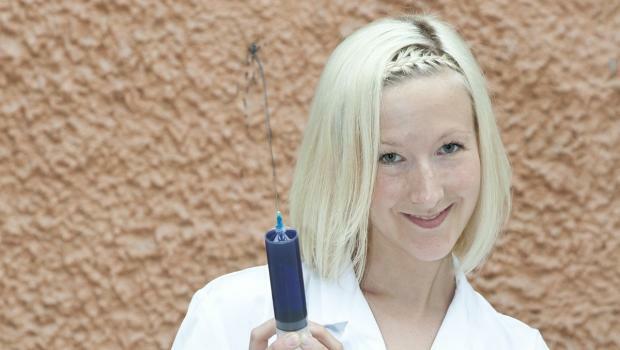 But now Helene Johannessen, a PhD candidate at the Norwegian University of Science and Technology (NTNU), is studying whether or not Botox could be used as an alternative to treating morbid obesity, replacing costly and dangerous operations. Tests on rats have shown that treatments with Botox injected into the vagus nerve in the stomach can lead to weight loss. When Johannessen and her colleagues injected rats with Botox, the animals ate less and lost 20-30 per cent of their body weight over five weeks. The treatment effectively paralyzes the vagus nerve, which triggers the sense of hunger and controls the passing of food through the intestines. Paralyzing the nerve paralyzes muscles in the stomach, which appears to slow the passage of food through the stomach. This effect might one day lead to treatments that cause people to feel fuller for longer. The hope is that the use of botox can be developed into an alternative to gastric bypass surgery. Johannessen and her research are part of the Experimental Surgery and Pharmacology research group, which is exploring alternatives to gastric surgery. The Botox treatment study is part of an EU project called Full4Health. Botox is actually botulinum toxin, which when ingested in spoiled foods can lead to both paralysis and death. Nowadays Botox is used in the medical treatment of dystonias and spasms, as well for its more famous cosmetic use. If Johannessen and her colleagues succeed in their efforts, it might also become useful in giving people a healthier and less weighty life. Johannessen told the Norwegian Broadcasting Corporation (NRK) that her research team will start human clinical studies as soon as Norwegian medical ethics authorities give their approval. May 3, 2018 - 4 Diet Changes That Are Better Than Botox U.S. News & World ReportWhat you eat (and don't eat) can reduce signs of aging, nutricosmetics research shows. December 7, 2018 - Five easy skin fixes for men over 60 Miami HeraldThere are easy things that men can do that will make them happier with their appearance without requiring a lot of effort. October 18, 2018 - Heather Dubrow Has Been Getting This Treatment for 20-Plus Years—Even Before It Was Approved! NewBeauty MagazineAs Real Housewives alum Heather Dubrow reveals she's been getting Botox injections for 22 years.